Today is Venerable Fulton J. Sheen's birthday! 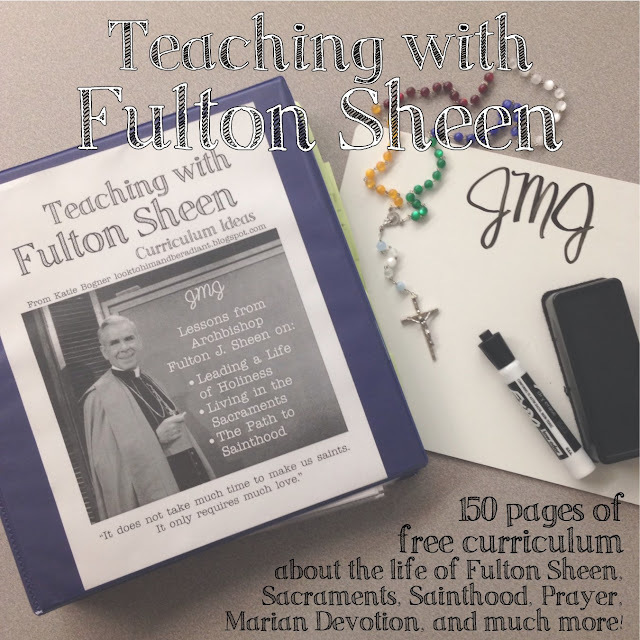 In honor of this great man who has so profoundly impacted my role as a teacher, I'm happy to share with you the second edition of my Teaching with Fulton Sheen Curriculum- 150 pages of printables and instructions available to you for free! 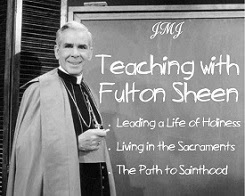 It is the fruit of five years of teaching faith through the lens of Fulton Sheen's life, and I'm happy to be able to share it with classrooms and homes around the world. -Most of these activities were created for use with my 5th graders. Many of them have been successfully used with varying ages with small adaptations or different purposes. I would say the target audience of the content is 2nd-6th graders, but some activities could be used with younger students and some activities would work for older students. -The pdf ebook contains not only the printables, but also instructions, lesson purpose, cross curricular connections, timeframes, and photos of projects. -Most of the ebook is content common to all CCD and school classrooms- prayer, Saints, Sacraments, Mary, Adoration, the Rosary, etc. This book shows how you could teach those activities in connection with Fulton Sheen's life, but they also could be stand alone activities. -The ebook could be used in pretty much any order and with any amount of content. You could use one lesson, five lessons, or the whole book. It's meant to be a flexible supplement to your existing classroom content. Would you like to use the Teaching with Fulton Sheen Curriculum? Click here to get your free copy! And I might just send some other surprise goodies too! -post a pic on instagram, etc. To enter, just leave a comment below telling me you shared the post and who you shared it with. If you have trouble leaving a comment, or can only leave an anonymous comment, you can also send me an email at looktohimandberadiant (at) gmail.com with your entry and I'll put you in the running. I'll collect all the entries submitted by midnight next Monday, May 15, 2017, and randomly choose a winner to send the stack of books to. Good luck! Thanks for sharing the life of Venerable Fulton J. Sheen with others, and most of all for spreading love and devotion to Christ and His Church. Archbishop Fulton J. Sheen, pray for us! Thanks, Alison! I've got you entered in the giveaway! Pinned and sent to a homeschooling friend (whose baby is Fulton!). Thanks, Ashley! (Awww, another Fulton! Love!) You're entered! :) Thanks Mia! :) You're entered! Sent this to all of our Department Heads at St. Thomas More! Thanks, Ashley! You're in the running! Pinned this on Pinterest. Your resources have tremendously helped my classroom, and I look forward to using these resources. 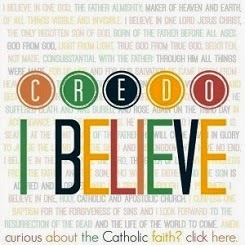 I'm a DRE & I will be sharing this resource with all of my catechists at our year end evaluation meeting this week. This is so great,thanks for all your posts. My middle school class enjoyed live battleship, awesome! I pinned a link on Pinterest, and have meeting next week with the DRE at our parish to work on our rel ed program, and plan to share with him too. This is great! I pinned it on my Pinterest board. I am a 3rd & 4th grade catechist and plan to use some of the curriculum for next year as well as share with fellow catechists. I sent this to one of my fellow teachers! I teach 3rd grade so I only use some of the resources, but either way they are AWESOME!! 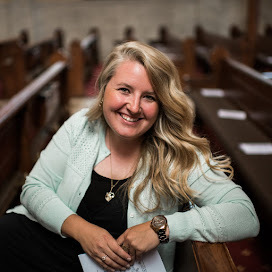 Katie, your blog has been a lifesaver this year while I taught 8th grade Faith Formation for the first time. I've enjoyed sharing many of your activities with my students. I just shared the info above with our DRE with the hopes that it can be utilized throughout the curriculum next year. Thanks for all you do to share the faith...with young and old alike! I'm always sharing your amazing info!! I use it with my sons and and plan on using it for Discipleship next year! Thank you for the amazing resource!!! Love it ALL!!!! Thanks for sharing. Shared it with a homeschooling family and local Catholic school. Just shared via email with my catechists. I have been using your lessons with RCIA and Middle School Yout Group. Yoyt material works well with Adults, we just change it up a ltitle but not a whole lot! Thanks, Veronica! You're entered into the giveaway! I shared it on Pinterest. I have used many of your inspired ideas for teaching my religious ed classes. Thank you for doing what you do so generously and excellently! Thanks, Barb! You are entered! I pinned it to my Pinterest account! 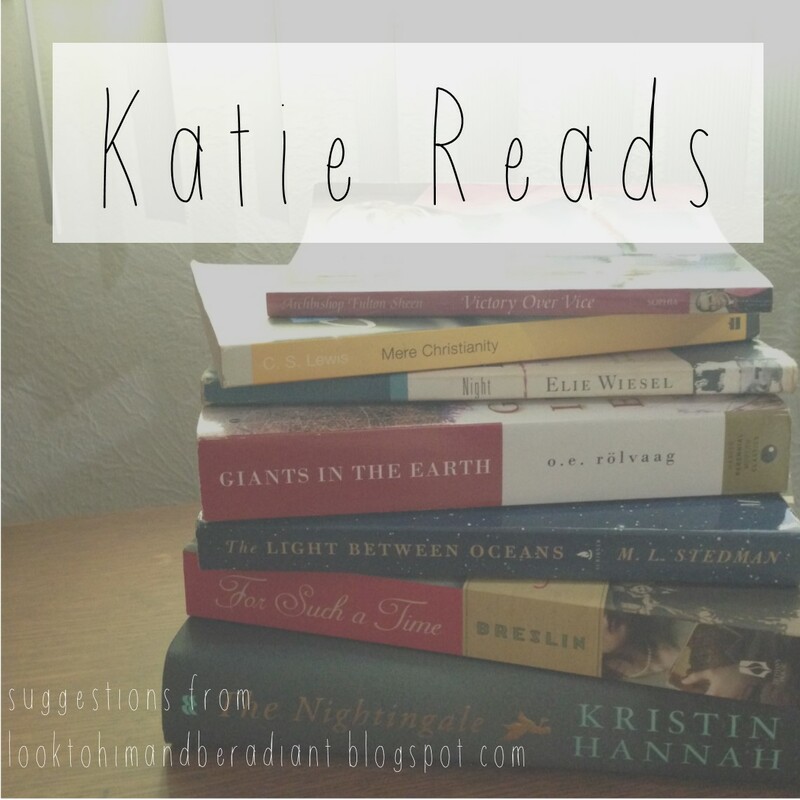 Thank you for sharing this and all of the wonderful ideas and resources on your blog! You have been a blessing to me as a catechist and in my own continued formation! Thanks, Stephanie! You're entered in the giveaway! Pinned on Pinterest! Thank you for offering this amazing resource for free! I'm looking forward to using it with my kids when they're a little older. I had never read any Fulton Sheen until I read one of his books that you recommended on your blog and I loved it! I'm looking forward to reading more books by him. Thanks, Rachel! Ah, I'm so glad you picked up a Sheen book! Which one did you read? Thanks for sharing and entering the giveaway! Victory over Vice- It was wonderful and so enlightening! Thanks for the recommendation! Thanks, Ana! You're entered in the giveaway! Wonderful! I shared it with our DRE and myself (youth minister). Looking forward to sharing it with some of those in our Vicariate! Blessings! I shared with fellow catechist. it is always great to get new to me material. Thank you! If you see this, send me an email at looktohimandberadiant (at) gmail.com so I know how to contact you if you win! Love you ideas and so excited to share with my co-teacher. We have both used your website and love how it so easy to adapt to the grade levels we both teach. Thank you for the opportunity. I shared with my catechist friends and our DRE. Thank you for this wonderful resource. I'm going to do these activities with my own children as well. - Laura G.
Thanks Katie for sharing this awesome curriculum. I will be sharing this with other home-schooling Mom's and my parish DRE. I love all your great resources. God bless you! I am so excited to share this with my daughter's religion teacher. We use so much of your curriculum already. I also pinned it to my CRE board. Thank you for sharing your gift of teaching and creating with us! Thank you, Stephanie! If you see this, send me an email at looktohimandberadiant (at) gmail.com so I know how to contact you if you win! I am new to your blog...I just came across it a couple weeks ago...and I am so glad to have found it! It is full of Catholic goodness!! Thanks so much, Elizabeth, Mary! You're entered! I pinned this to my Pinterest "Pray" board... so glad to have stumbled upon your site via Instagram! Thank you so much for this free resource! I homeschool and have used many of your great ideas with my kids. And I have copied your wood burning ideas as well 🙂. I'm hoping to use this with my kids this summer. I pinned this on Pinterest. Thanks, Sarah! So glad the ideas have been helpful! You're entered! I am sharing with my Catholic mom group! Most of us have young ones still, but this will be an awesome resource as our kids get older. Thank you so much for sharing!! Thanks, Bailey! You're entered! I actually got an email today from someone who adapted a lot of the resources to use with preschoolers, which I thought was awesome! Hey Lisa- I'm sorry, but I didn't hear from you to claim your prize and you don't have an email associated with your comment. :( I had to choose someone else. Sorry! I shared on my facebook page! Fulton is one of our favorites as a family. Thank you for sharing this! I shared on facebook, thank you! Thanks so much! I shared in my local Catholic homeschool group! I shared on my personal FB page. I hope I win. Thanks, Sarah! You're entered- good luck! 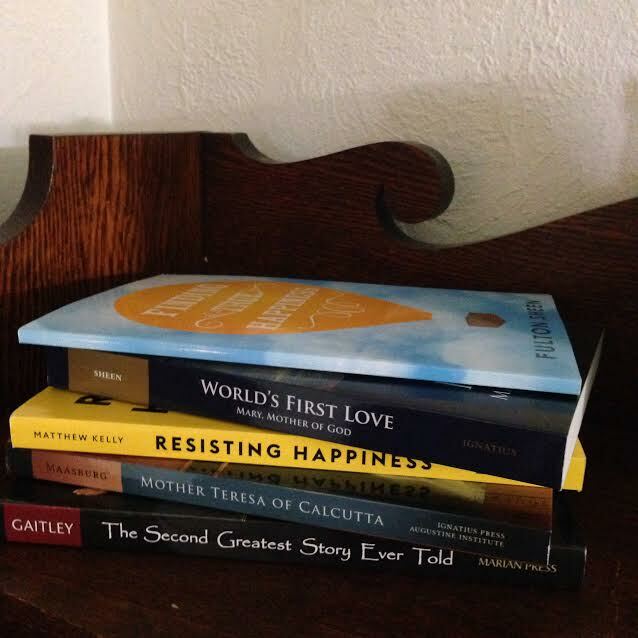 Thank you for all the resources you provide for other catechists! I pinned this post on Pinterest. Thank you! If you see this, please email me at looktohimandberadiant (at) gmail.com so that I have your contact info if you win! This is fantastic!!! I love all of the lessons, coloring pages, and what not that I get from your blog!!! I shared this with my two Catholic homeschool groups. Thanks, Leslie! If you see this, please email me at looktohimandberadiant (at) gmail.com so that I have your contact info if you win! I shared this with my Homeschool group. Great resource....THX!!! Thanks, PK Francis! You're entered! What a fantastic giveaway. I love your blog. I'm sharing with my homeschool coop your resources have been invaluable to me!! I adore them! Awesome! Thanks, Erin! You're entered! Pinned it on Pinterest! Have loved using your ideas/ resources for my CCD classes!